A life that is spent studying, training and preparing to do good in the world deserves to reap all the benefits of success. 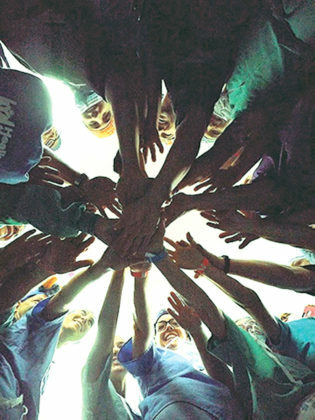 For some people, personal success is measured in moments of changing the lives of others. 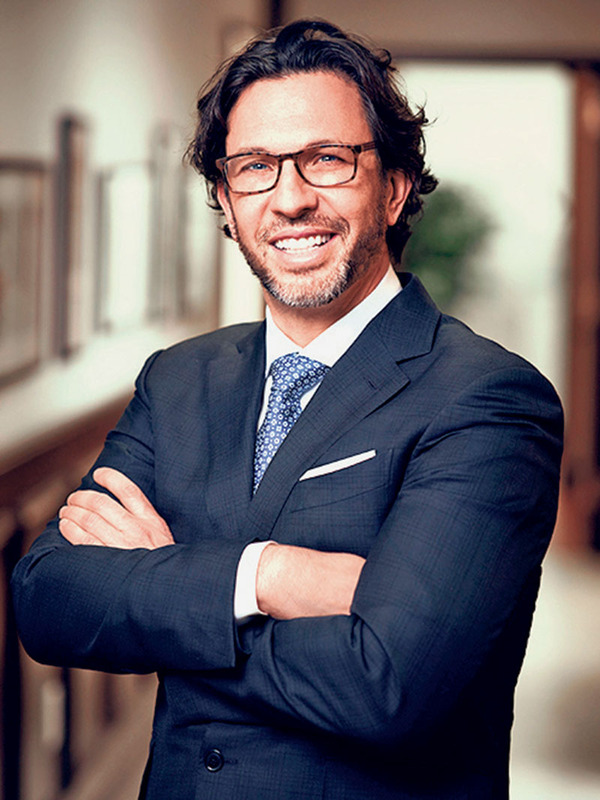 Andrew Jacono M.D., FACS, is a board certified plastic surgeon and global authority in the field of facial plastic and reconstructive surgery. 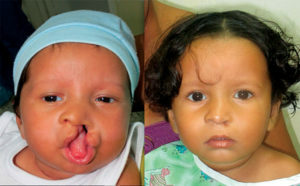 Although his Great Neck practice, the New York Center for Facial Plastic & Laser Surgery, caters to patients looking for a younger version of themselves, Jacono’s work as a pro bono surgeon around the world tugs at the heartstrings, as he gives life a new meaning for children born with facial abnormalities. Jacono recalls the girl being very nice and sweet and not at all deserving of harsh treatment by her peers. He felt bad for her and wished he could help, but also remembers being acutely aware at such a young age, of how judgmental people were of physical appearances. Relieved and happy for his bus buddy, a young Jacono was intrigued at how a face could be changed. 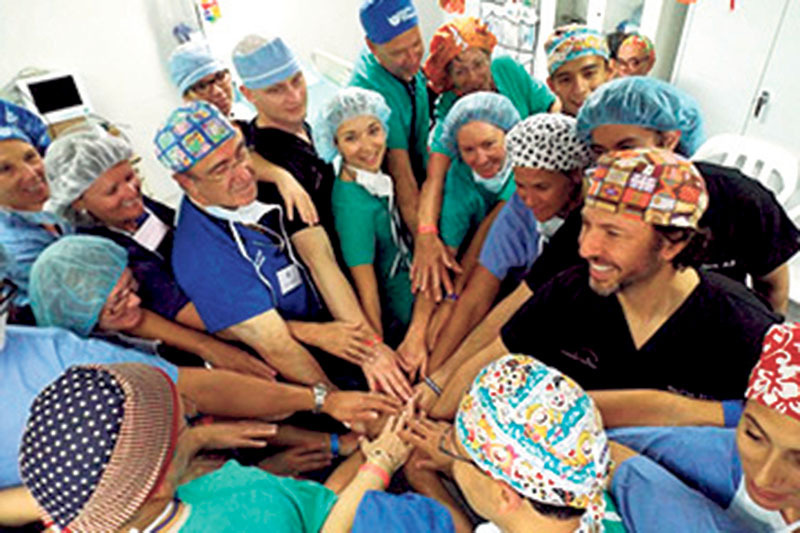 Jacono earned his medical degree from the Albert Einstein College of Medicine in New York, before completing internships in general surgery at St. Vincent’s Hospital and Medical Center. 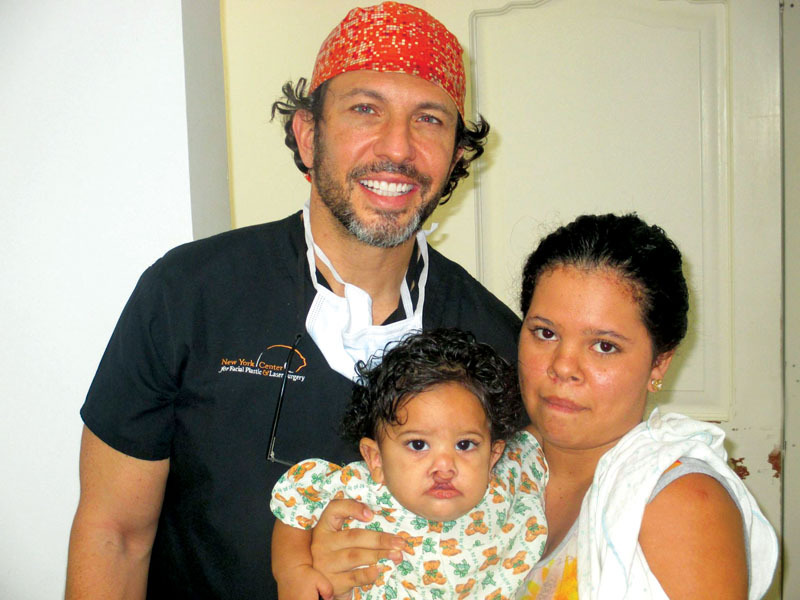 He completed his surgical residency at the New York Eye and Ear Infirmary specializing in otorhinolaryngology. 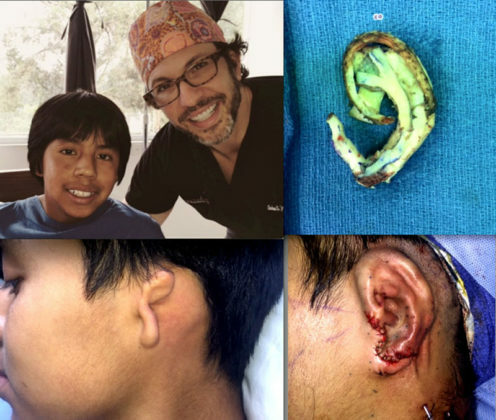 Jacono’s overriding goal as a surgeon is to deliver natural-looking results with minimal downtime, scarring and risk—something he has successfully done throughout his 21 years of practice—and that mindset also extends to domestic abuse victims and children. 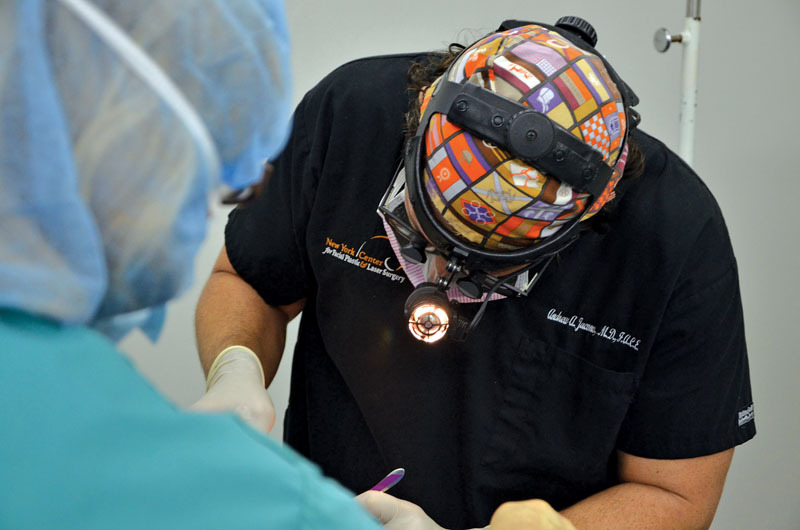 Dr. Jacono operates on a patient. “Early in my career, I repaired the broken nose of a woman who said she had been injured in a car accident. 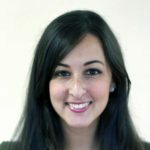 Several months later, she returned a second time, claiming she had broken her nose in yet another car accident,” recalls Jacono, later learning that the woman’s broken noses were the result of an abusive relationship. As the senior advisor to the American Academy of Facial Plastic and Reconstructive Surgery’s (AAFPRS) FACE TO FACE, a national project offering pro bono consultation and surgery to victims of domestic violence that have suffered facial disfigurement, Jacono has provided pro bono reconstructive surgery to more than 100 female victims. His work with said victims was chronicled in the television series Facing Trauma on the OWN network and Discovery Fit & Health. Jacono, who began volunteering in 2002, believes that “philanthropy is a cornerstone” of his practice and his passion for giving back is heightened every day. On average, he spends approximately four weeks a year performing pro bono surgery, which includes trips around the world helping children with facial deformities. Jacono recently returned from leading a mission in Santa Marta, Colombia, with healing The Children Northeast (his 10th mission for the organization) in which he and his team performed surgeries on children with cleft lip and palate deformities, as well as microtia, an underdevelopment of external ears. His next mission is planned for Ecuador in April 2018. 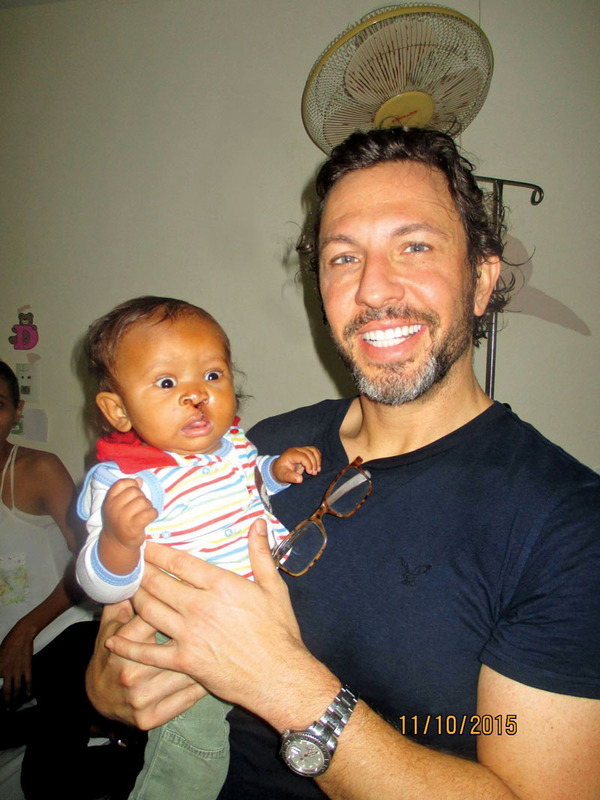 Like any philanthropic venture, Jacono raises money for his pro bono work by mountain climbing and running marathons with his family. He is also a proponent of social media platforms to raise awareness. 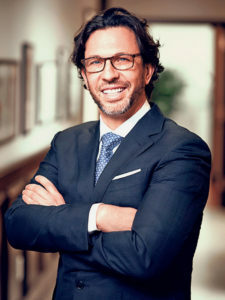 To learn more about Dr. Andrew Jacono and his practice, visit www.newyorkfacialplasticsurgery.com.